This past weekend, Wisconsin hosted Ferrari fans and drivers as they took to the largest and fastest circuit of the 2017 Ferrari Challenge North America schedule at Road America in Elkhart Lake. The weekend was a success, with a series of victories and podiums being presented during the weekend’s impressive double-header. Our very own Dealer Principal here at Continental AutoSports, Joel Weinberger was a local favorite at the Ferrari Challenge at Road America, and he performed excellently on the track, gaining two back-to-back wins on Saturday. He and his Continental AutoSports-branded Ferrari 488 had a perfect day, taking pole position, fastest lap and race win. He took pole position by nearly a half-second and claimed victory by nearly four seconds. In addition to the exciting racing event, the Ferrari Challenge also celebrated 70 years of heritage during this weekend’s Ferrari Classiche, which featured 20 cars on display from different eras throughout the brand’s history. The next round for the Ferrari Challenge competition will take place in one month at the Circuit of the Americas (COTA), which is the same circuit that the Formula One program will be competing on during the US Grand Prix in November. This challenge will be hosted from September 15-17. 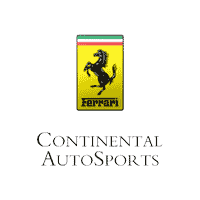 For more information about the Ferrari Challenge, as well as the brand’s performance during the Formula One Championship, be sure to check out the rest of our blog here at Continental Ferrari.